Multi-hazard protection — FR, chemical, arc flash and beyond. The DuraChem® family from Kappler brings tough, proven protection to a wide range of hazard scenarios. Certifications range from demanding NFPA standards to compliance with other key safety standards, with innovative garment design that enhances comfort and safety. With a price-value combination that delivers an economical advantage over typical reusable apparel, DuraChem is what to wear for smart protection. 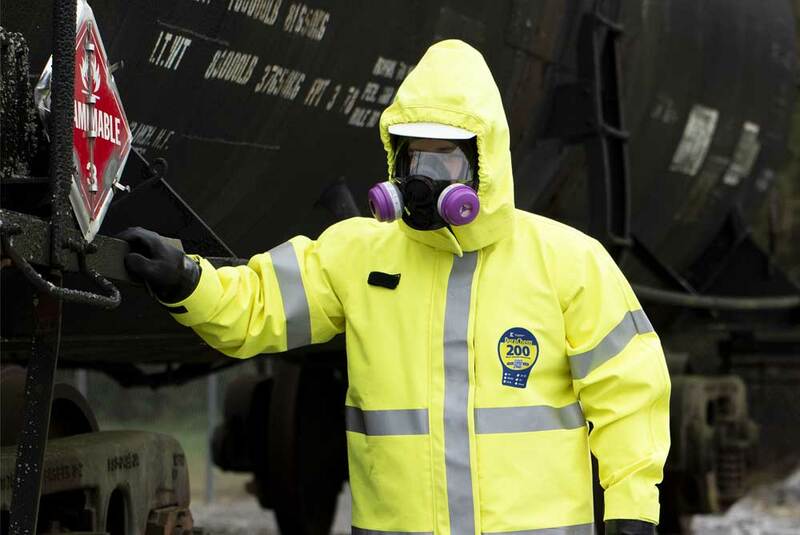 DuraChem 200 is multi-hazard High-Visibility apparel that combines FR protection with protection against Chemical, Arc Flash, Steam and Hot Water, and Molten Metal Flash hazards in one cost-effective coverall or ensemble. The game-changing NFPA 1994 solution for terrorism incident response. 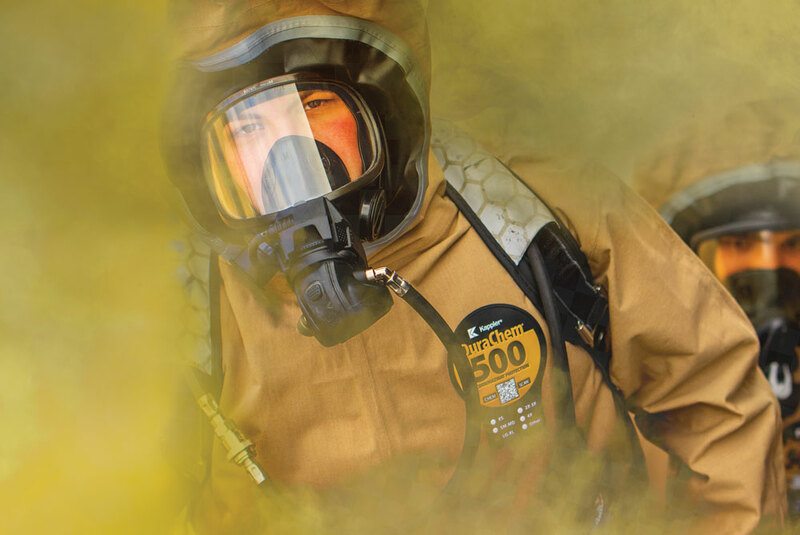 It’s the only NFPA-certified terrorism response suit to meet one elusive goal: maximum protection at an affordable price.